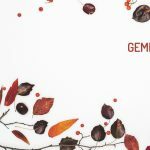 Here is your Gemini Horoscope for December 2018. Every month, you will find at WeMystic the astrological forecasts for your zodiac sign. There will be a tensions and arguments in couples due to the expenses of the Christmas season, these can be resolved with good disposition on your part. Take time to empathize with your partner, without downplaying other family members. Remember that Jupiter will be in the VII House of Gemini (where it will remain for most of 2019), which means that it will be a profitable year for the growth of personal relationships (both with others and with yourself). Also, keep in mind that the New Moon in Sagittarius will touch the VII House of Gemini on December 7th, which can be interpreted as the possibility of starting a new commitment (for singles) or a new project for couples. December will be an especially productive period for the finances of the natives of Gemini. The Full Moon in Cancer on December 22nd will touch the II House of Gemini. The Moon in the II House of this sign refers to trying to obtain emotional security through the acquisition or accumulation of material objects, but since it is a Full Moon in this case, it refers to the end of a cycle. In other words, for Gemini, the Full Moon on December 22nd means the observation of a pattern related to financial consumption and compensation (buying things in order to avoid thinking about what really bothers you). By becoming aware of this habit, you will have everything you need to deal with what is really important (solve what is bothering you), as long as you focus your attention towards it (evasion is still an option, although the situation will be more difficult now, since you know what you are hiding). Let’s not forget that the North Node of Karma will be located in the II House of Gemini in the final stretch of 2018 and throughout 2019, indicating that in order to advance you need to review how you manage your resources, and most importantly, your work consciously in a way that is oriented with your personal values. On the other hand, the entrance of the Sun into the VIII House of Gemini (12/21) will present opportunities for business or economic transactions working together with relatives or in turns with your partner (pay attention to family gatherings). Remember that Saturn, Pluto and the South Node of Karma will be present in the VIII House of Gemini. In other words, any action that you undertake will be aimed at obtaining long-term results, since they take dedication and structure. Also, everything that involves the VIII House requires transformation, and developing our confidence in others (don’t expect the worst and give the benefit of the doubt, whenever a task is given to others). In the professional field, Mercury will be in retrograde from December 1st to 5th in the VI House of Gemini, initiating its direct phase on 12/06, but it will remain in the shadow until 12/24 (approximately), despite having left this location earlier (it will enter the VII House of Gemini on 12/12). The transit of the planet of communication (ruler of Gemini and Virgo), through the VI and VII Houses of the twins is a suggestion not to mix work with pleasure and to act with a lot of tact, because situations will be more delicate than they seems. While December will be a period of high productivity for you, with good prospects for those who have direct associates (Jupiter in the VII House), you may feel somewhat disconnected from reality. The beginning of the direct phase of Chiron in the X House of Gemini (12/09), will raise major questions about what you want to achieve in the workplace and how to share your achievements with those around you because, in the end, personal satisfaction is not the goal. The presence of the dwarf planet Ceres in the VI House of Gemini, indicates that natives of the sign will enjoy a successful recovery process, particularly for those who suffered minor ailments during the last few months. However, this is not a reason to test your physical endurance. Keep in mind that Mercury will be in retrograde in the first week of December in the same location on the astral map (VI House of Gemini). The planet of the communication is the ruling planet of the twins (and of Virgo), which is why its transits usually have a greater effect on the natives of both signs. Both the retrogradation of Mercury in the VI House of Gemini (from December 1st to 5th), as well as its shadow period (which will extend until 12/24 and will include its passage to the VII House), are temporary periods during which the sons and daughters of Gemini must be careful. Events that involve the presence of the planet of communication in the VI House of Gemini can increase your predisposition towards respiratory diseases (influenza, asthma) and susceptibility to viruses. If winter is part of the your region’s climate during this month it is essential that you take higher precautions and protect yourself from the cold, rain and snow. Do not forget to keep warm, and avoid having wet clothes in contact with your body (if it is inevitable, make sure it is just for short periods of time). The beginning of the direct phase of Juno in the XII House of Gemini, starting on December 23rd, indicates a favorable time to reconcile with your past self and work on forgiveness. Important: working on forgiveness does not mean unconditionally accepting toxic people or people that you know don’t have good intentions for you. The intention is to relieve yourself of the feelings of burden that past negative events left in your soul. The available alignments are favorable if you want to participate in consultations or sessions with therapists and psychologists. Similarly, these facilitate the processes of evaluating yourself (without judgment) and getting to know yourself better.